This year’s Halloween costume combines many of the things I love. My go-to costume for years was my 14th century cothardie from my medieval days. I missed a few years for my kids, but I have been dressing up in recent years even though I stay home to hand out the candy instead of walking around with the kids. I had considered dressing up as Ellen Harvelle from Supernatural or Charlie Bradbury, also from Supernatural, but in the end opted for The Walking Dead’s Maggie Greene. 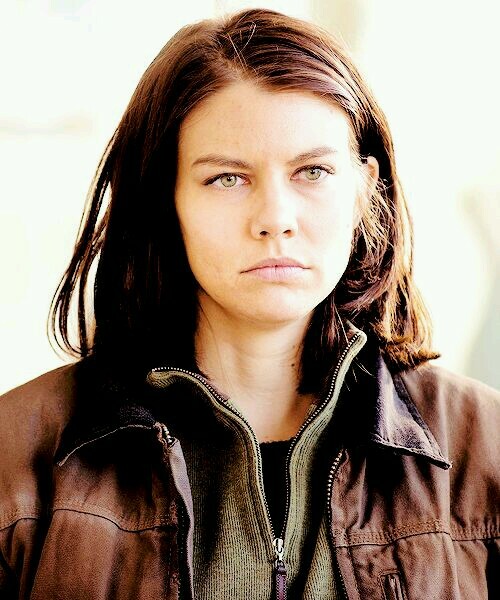 I was a bit put off from Maggie because of my body type and it being so different from hers. However, one day a couple of weeks ago, I was getting dressed and was kind of astounded at how much my fall wardrobe resembled her post-apocalyptic couture. It’s nice, or extremely disconcerting that my everyday wardrobe is apocalypse appropriate. Layers are the key in any kind of end of the world fashion scenario. Should I wear a jacket? Or an extra long sleeved shirt? 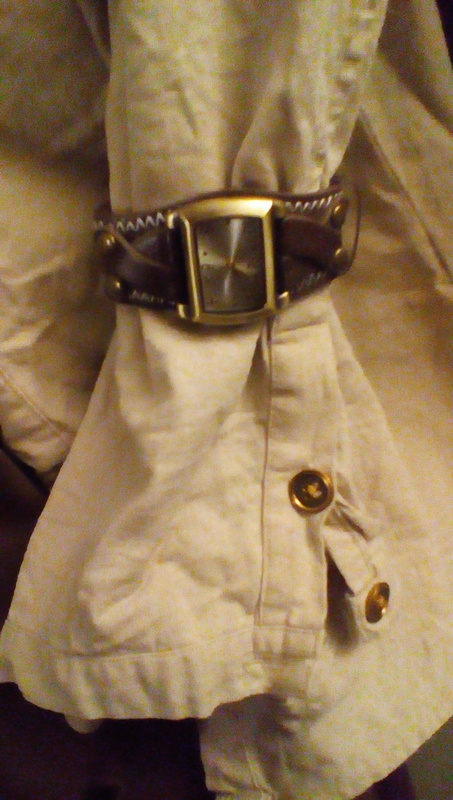 This overshirt can be removed and tied around my waist, especially during those sultry Georgia summers. 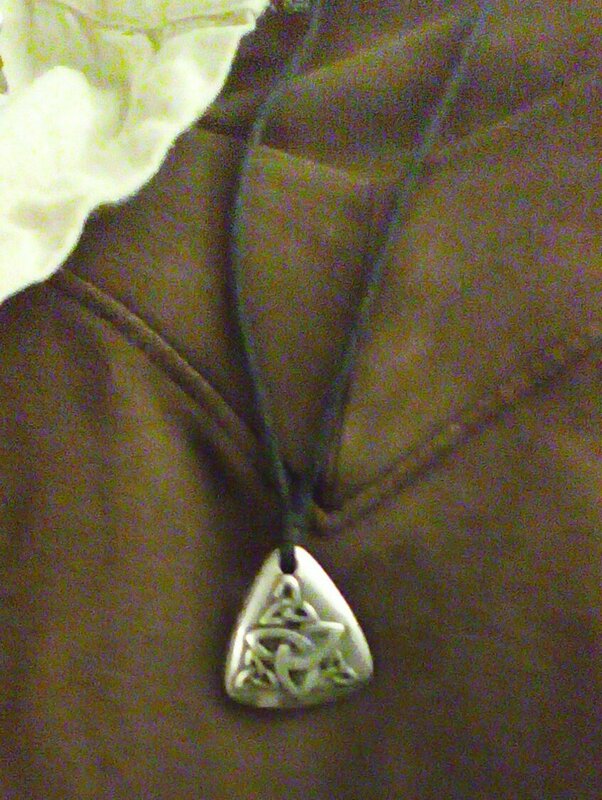 As for Maggies’s accessories, again I used my own: a chunky wristwatch, a Celtic triquetra on a cord and a bunch of corded, tied bracelets. It’s canon that the Greene’s have Irish heritage, so it wouldn’t be unusual for someone in the family to have given this to Maggie at some point. I imagine that some of the bracelets were made by Maggie’s little sister Beth on the farm while Maggies was away at college, maybe on lonely nights missing her sister. These seemed to fit my view of who Maggie is, surviving, but also trying to hold onto some semblance of a life. 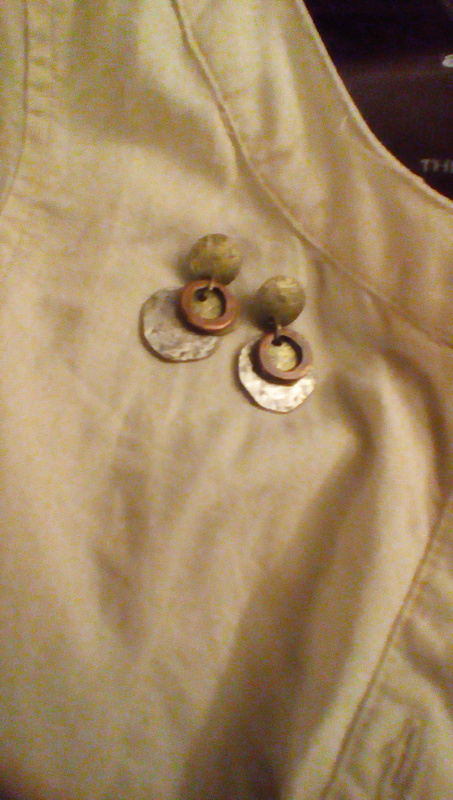 I chose these earrings because they’re relatively small and simple. I liked the tri-color metals and I thought they gave the illusion of an antique or age to them I liked how they matched the more primitive landscape that is the new world taken over by walkers. 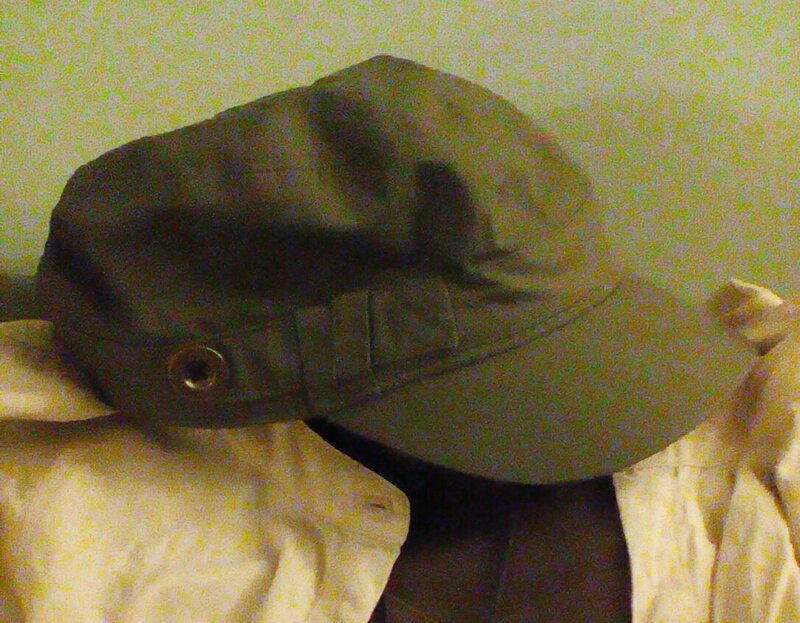 A hat to keep the sun out of my eyes or the hair off my face. Cotton, of course to absorb and wick sweat. 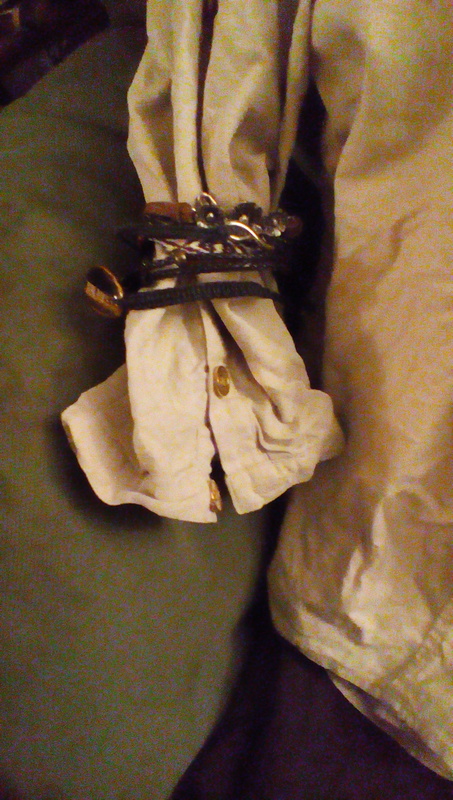 Fingerless (fake) leather gloves to protect my hands during the heavy lifting of surviving the end of the world. This is my take on Daryl’s poncho for Maggie. Maggie seems to wear this almost as much as Daryl, and I thought this was a good way to make my ordinary clothes stand out a bit more as an actual character. Maggie wore the poncho when she and Daryl went on the day care run for formula after Judith was born. She also wore this when she entered Terminus, and it was one of the items that Rick recognized as belonging to his people who were being held there. It hasn’t been seen since, but maybe it’s out there somewhere. I found this particular one at Target and it is a soft, woolen large scarf that can be worn in several different ways comfortably. 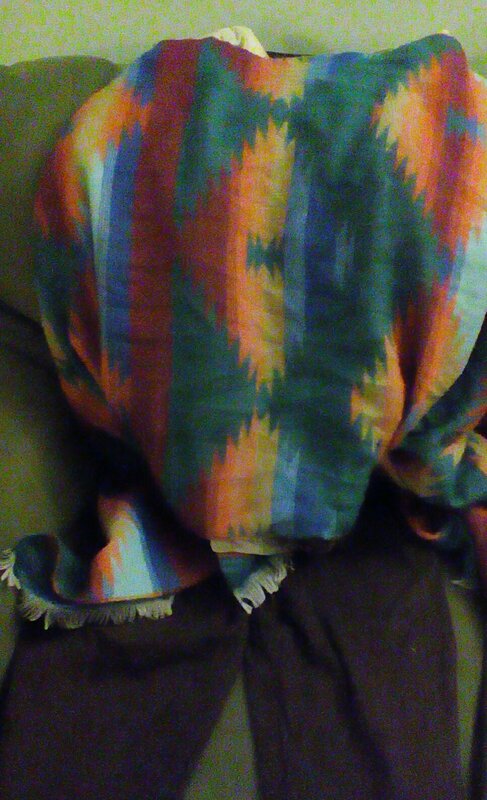 It’s good as a blanket, as a shawl, around my neck, and over my head. It is warm and cozy and when I’ve worn it, it’s given me a sense of comfort, which in addition to the warmth is what most of us would look for in a poncho. 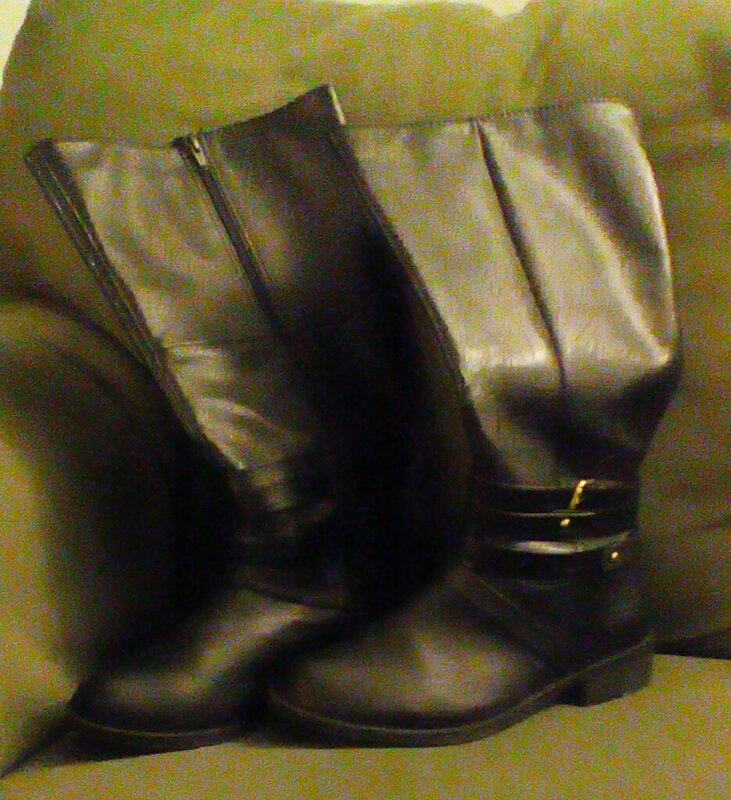 Sturdy boots to run away from the walkers with. Soft soles to sneak around without the walkers or the wolves hearing. 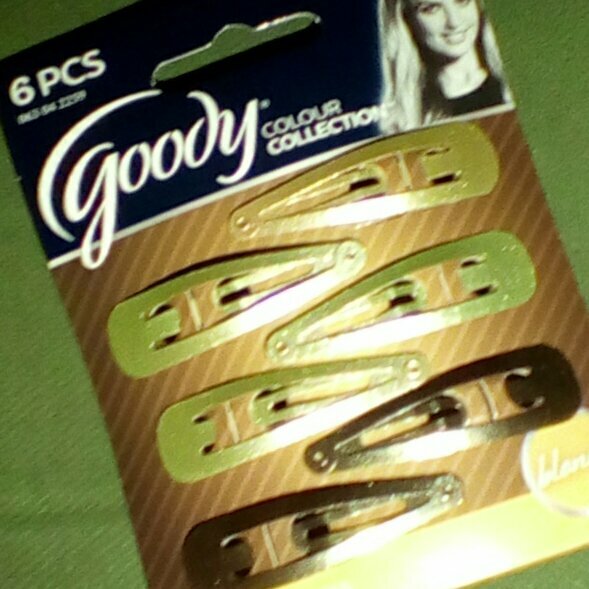 Barrettes to keep the hair out of my eyes and off my neck while surviving. I have very short hair, but I haven’t had it cut since late summer. For me, it’s long; too long, in fact. It still doesn’t come close to Maggie’s length, but it’s the best I can do. It’s been driving me crazy for weeks. I can’t wait to get it cut next week! 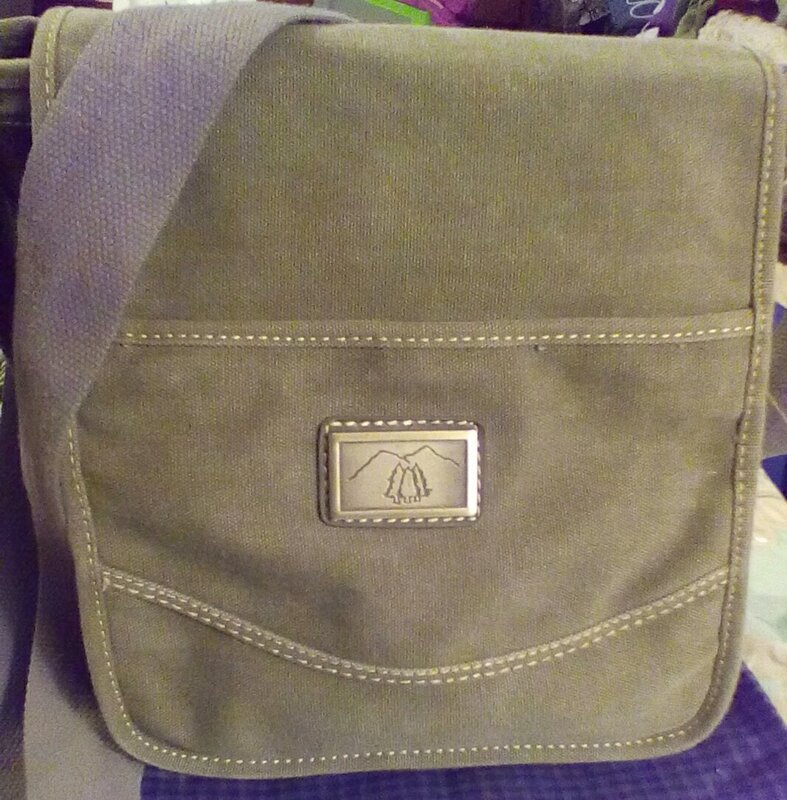 A satchel to carry food, extra weapons, supplies, and the like. I think that covers it. 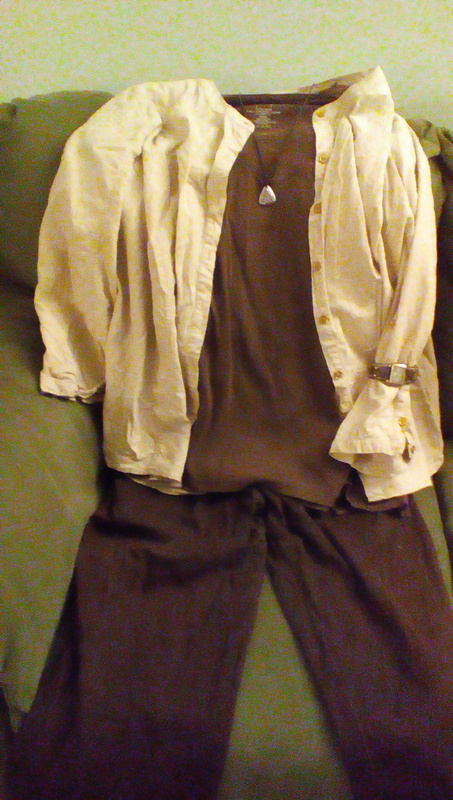 I’m excited about Halloween this year, and I have my cosplay ready for the mid-season premiere in February. I have a dagger, and my son is going to loan me a Nerf shotgun but I don’t expect any trouble from the undead hoards of walkers or as their commonly called this time of year, trick or treaters.